Add the chicken to the sluggish cooker. Sprinkle with the salt and pepper. Spread over the pesto, squeeze the lemon juice over the chook. Cut the butter into slices and lay over the chicken. Cover and prepare dinner on low for five-6 hours with out establishing the lid all through the cooking time. Near the quit of the cooking time, prepare dinner the pasta in keeping with the package directions and drain nicely. Shred the chook with 2 forks. 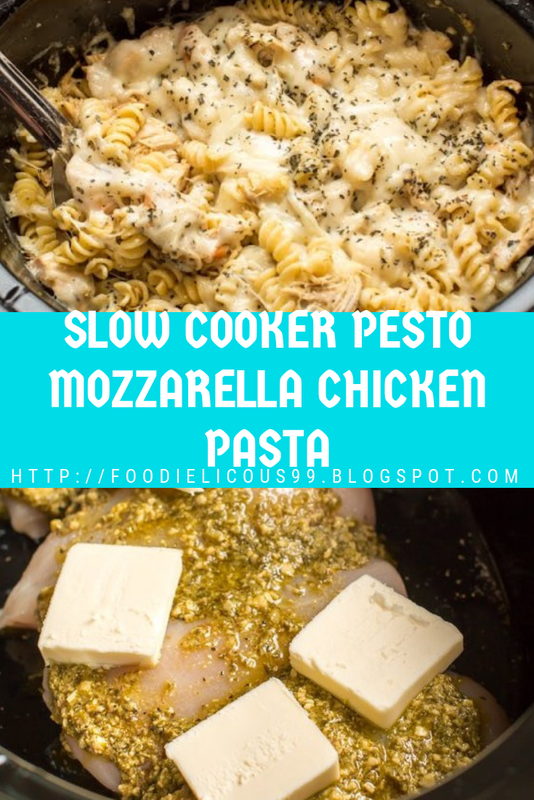 Add the cooked pasta and the parmesan cheese, stir the whole thing till the pasta is covered with the buttery pesto sauce and the hen is frivolously dispersed for the duration of the pasta. Add the mozzarella cheese over the pasta. Cover for approximately 15 more mins or until the cheese has melted.